One of my very favorite things to make during the summer is homemade ice cream. I love it and would make it every day if I knew it wouldn’t go straight to my hips. Healthy eating can really be a bummer sometimes. I sure hope that we eat ice cream in heaven! I found this recipe at Our Best Bites. 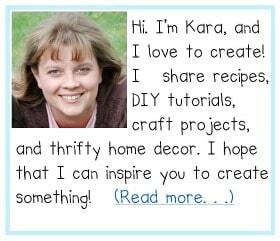 It is one of my favorite cooking blogs, with tons of fabulous recipes. This ice cream is phenomenal!! One of my all time favorites that I have ever tried. It is smooth and creamy and has a great blueberry flavor, with a slight tang from the cream cheese. Combine berries, powdered sugar, and water in a saucepan. Bring to a boil and simmer for 10 minutes. Cool. Beat sugar, cream cheese, and egg yolks until smooth. Bring milk and cream to a boil. Very slowly add the hot milk to the cream cheese mixture. (Don’t just dump the cream cheese mixture into the hot milk or the eggs will cook. Yuck!) Then return to the pan and continue cooking and stirring till the mixture barely starts to simmer. Cool. I like to put my pan in a sink filled with ice water to speed up the cooling process. 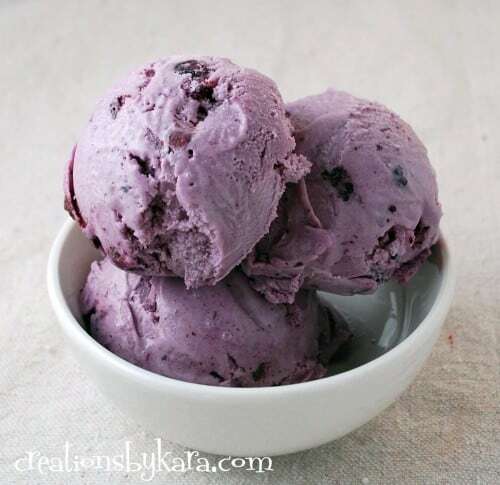 Add the blueberry mixture to the ice cream and chill for several hours or overnight. Freeze in ice cream freezer according to manufacturer’s instructions. Let ripen in freezer for at least three hours. It tastes even better the next day!! -This ice cream is easy to scoop, even after being in the freezer for a few days. It is nice and rich and creamy. -You can stir in broken pieces of graham cracker crust after you remove it from the ice cream maker. I think that would be a fabulous addition. I made the ice cream for a family dinner and it was an absolute hit! It’s smooth in texture and the cream cheese balances out the sweetness perfectly. I’ll definitely make this one again!